This product is used for cleaning softbaits BEFORE u start with airbrushing softbaits using our soft.. This product is a special mixed thinner to clean the airbrush pistol.Including one plastic "pipette ..
Clear paint can be used to make certain colors more transparent.Including one plastic "pipette tool".. Including one plastic "pipette tool" to transfer product to the airbrush pistol.This product is used.. Tested for a long period of time by many people and described as "the best softbait paint on the mar.. This color has a brown color but under UV light it becomes GREEN !very nice color ! !Tested for a lon.. This color creates a very nice sparkling/metallic effect.Tested for a long period of time by many pe.. This is a more transparent version of the normal "sparkling blue"This color creates a very nice spar.. This is a more transparent version of the normal "sparkling grey"This color creates a very nice spar..
UV blue clearcoat does not change the color of the softbait by daylight.Underneath UV-light u get ve..
UV yellow clearcoat add's a light yellow layer on white softbaits that is visible by daylight. 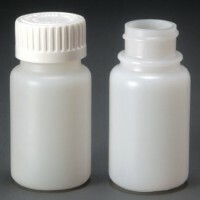 ..
Strong HDPE bottle for softbait paint (for mixing your own colors) or other productsincluding child ..